Uni Vets Camden is a participant in the Camden Council and the National Desexing Network (NDN) subsidised cat desexing program. 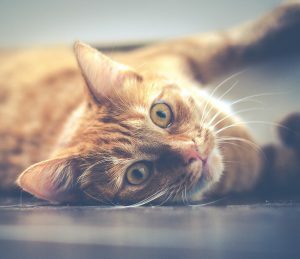 The program, which commenced in February 2018, enables eligible residents in the Camden Local Government Area to pay just $35 to desex their male cats and $55 for female cats, until subsidy funding has been exhausted. To help those who have many cats, additional female cats only cost $35. will be sent a desexing voucher to take to a participating veterinarian including Uni Vets Camden. At Uni Vets Camden, we take every surgery seriously even routine desexing procedures. Admission – If it is the first time that your pet has been to our hospital, a veterinarian will assess your pet and ask brief health history questions to ascertain whether your pet is in optimal health. If your pet has been here before, a nurse will do the triage and a vet will check before any medication is administered. Pre-sedation blood test – We will do a blood test to ensure that your animal is not anaemic or dehydrated before surgery. If it is an older dog, we would recommend a pre-anaesthetic blood panel to test for liver and kidney function as well. This is because most of the drugs are excreted by the liver and kidney and we need to understand if your pet has any pre-existing issues which might impact on their anaesthetic. Sedation – We tailor the sedation drugs to the individual patient depending on their demeanour. Sedation will lower the requirement of drugs needed for the aneasthetic, therefore make it safer for your pet to undergo anaesthesia. Once sedated, an intravenous catheter is placed to facilitate the administration of drugs and fluids. Induction (starting general anesthesia) – Your pet is given oxygen for at least five minutes before induction to mamixmise the oxygen content in the blood as most induction drugs cause a temporary decrease in breathing rate. Your pet is then induced with a mix of drugs deemed to be most safe for them. Your pet is then immediately intubated (tube placed in their windpipe) to ensure adequate oxygen supply into the lungs. At this stage, your pet is then clipped and surgically scrubbed to remove as much dirt as possible as well as any bacteria that might be present on the skin surface. Surgery – Our surgeons use new sterile gowns, gloves and surgical packs for every patient. This is to minimise cross infection and to decrease post-surgical complications like wound breakdown due to infection. Monitoring equipment – We use state of the art anaesthetic monitoring equipment to ensure that your pet has the safest possible anaesthetic. We monitor their blood pressure, the amount of oxygen in their blood, body temperature, amount of carbon dioxide they breathe out (to prevent hyperventilation), and the heart rate and breaths per minute. Every patient will have fluids via their intravenous catheter to maintain blood pressure. A qualified veterinary nurse or anaesthetic technician is always there to monitor your pet. 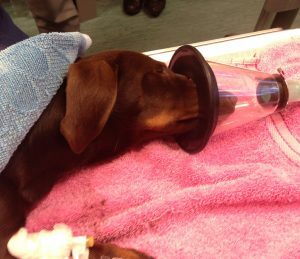 Recovery – Your pet is then watched closely to ensure they are awake enough to breathe by themselves before removing the tube that is placed into their wind pipe. They are then placed in a cage to recover quietly and safely. Pain management – Pre operatively, your pet will have a pain relief in the sedation. During the surgery, our monitoring equipment and frequent physical checks will alert us to any pain response shown by your pet. They will then be given an appropriate drug to minimise the pain. Post-surgical pain relief is in the form of a non-steroidal anti-inflammatory (NSAID) drug given as an injection under the skin. Your pet will also go home with two days of oral NSAID to reduce pain and inflammation post-surgery. Generally dogs and cats are desexed at about six months old however the ideal age for desexing depends on the individual case. A desexing procedure can be done as early as eight weeks of age and more than one kilogram bodyweight. Feel free to discuss the options with one of our vets. Commonly, non-desexed animals will attempt to find a mate, and can escape from home as a result. There is anecdotal evidence to suggest that animals which are hit by cars or lost are more commonly non-desexed. Lowering risk of a number of diseases including a variety of cancers.